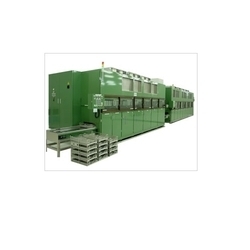 Aqueous cleaning & drying systems. This is a water-based, eco-friendly product, designed for cleaning of dirty storage bins. 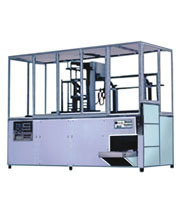 It is compatible for manual as well as machine cleaning operations. - CUSTOM FIXTURED BASKETS : configured for ideal cleaning of intricate parts. - LOAD STATION (OPTIONAL) : with basket sensors to automatically activate transport and process. With the aid of our skilled experts, we are offering a gamut of Aqueous Ultrasonic Cleaners. Developed using quality approved components and raw material, these systems make use of aqueous solvents for cleaning work. Our systems are acknowledged for their simple configurations, eco-friendliness and excellent performance. Kyzen offers the best cleaning solutions and services in the industry. Customer satisfaction is our top priority, from evaluation, testing to implementation our dedicated and experienced technicians will ensure that your cleaning requirements are met and in many cases exceeded. Our product lines are specifically formulated for the unique challenges faced within each industry. The EcoCWave is a powerful spray flood cleaning system with a vacuum-tight work chamber. At the user’s option, it can be equipped for either two or three independent cleaning steps. The use of upright cylindrical flood tanks, which have been developed for fine cleaning applications, ensure an optimized fluid management, a high flexibility and improved process quality. Hi-presure spray, immersed flood wash, ultrasonic, Rinsing, hot air blow. Vacuum Dry option available. Distillation system for effective Oil seperation.